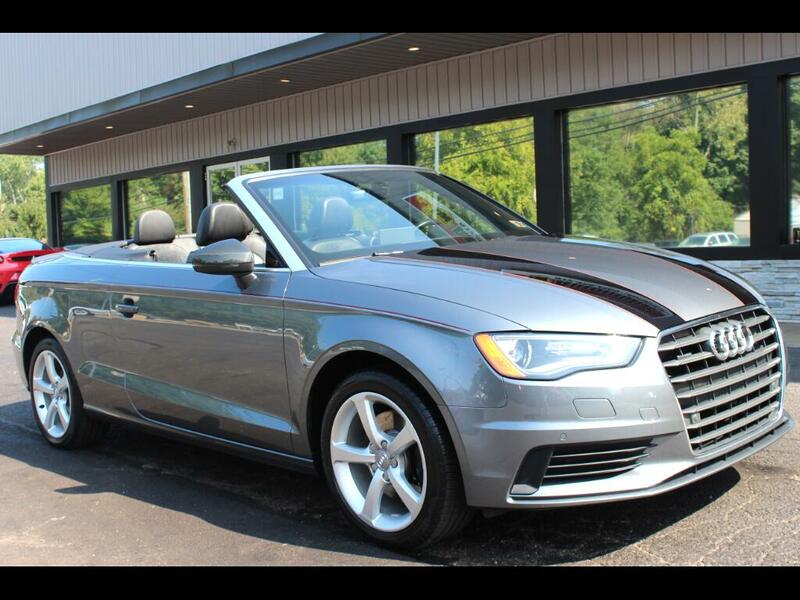 2016 AUDI A3 PREMIUM CONVERTIBLE QUATTRO FOR SALE. ONLY 13,167 ORIGINAL MILES! VERY CLEAN INSIDE AND OUT! NICELY OPTIONED WITH; 2.0L TURBOCHARGED ENGINE, S-TRONIC AUTOMATIC TRANSMISSION, NAVIGATION, BACKUP CAMERA, AUDI MMI INFOTAINMENT SYSTEM, PUSH TO START, LEATHER INTERIOR. HEATED SEATS, POWER CONVERTIBLE TOP, KEYLESS ENTRY, AND MORE! CARBON FIBER REAR SPOILER AND MIRRORS! THIS VEHICLE IS LOCATED AT 9234 PERRY HWY PITTSBURGH PA 15237. PLEASE CALL 412-366-7400 FOR MORE INFO OR TO SCHEDULE A APPOINTMENT TO SEE THIS VEHICLE. TO VIEW THE MOST PICTURES OR SEE THE FREE CARFAX PLEASE GO TO OUR WEBSITE WWW.LWAUTOMOTIVE.COM. WE SHIP NATIONWIDE! THANKS FOR LOOKING!